Amy is a Member and Co-founder of Bala Law Group, LLC. 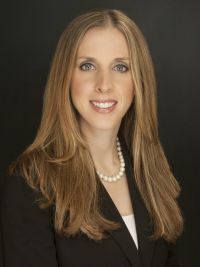 She focuses her practice in the areas of estate and gift tax planning, estate administration, pre-nuptial agreements, family business planning and charitable giving. Prior to founding Bala Law Group, LLC, Amy was a Member of the Private Client Services Group at Cozen O'Connor from 2009 through 2012. Before that, she practiced in the Private Client Services Group at WolfBlock LLP from 2002 through 2009. Amy has been recognized by Philadelphia Magazine as a Pennsylvania Rising Star from 2005 through 2011. Amy grew up in the Philadelphia area and now lives in Bala Cynwyd, Pennsylvania, with her husband, Sagi, and their children, Mia and Guy. Amy co-authors a regular Trusts and Estates column in The Legal Intelligencer, and has written over forty articles to date. Links to the articles may be found under the "BLG NEWS" tab.